(Newser) – It may be weeks before authorities get the final word on how the teens died, but who they are has been established. The Atlanta Journal-Constitution reports that the remains of Mary Crocker and Elwyn Crocker Jr. have been found in their own backyard in Guyton, Ga. 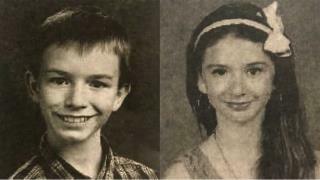 Confirmation of their identities came Monday; the remains had been found Thursday. Coroner David Exley said part of the reason why cause of death won't be known for some time is because the children have themselves been buried for some time. He suggested Mary, 14, was last seen in October, and Elwyn in November 2016, when he was also 14, reports WSAV. Terribly sad. Disposed of at 14. Prosecute to the max! He has a FB page, looks like a model citizen, was the Walmart Santa in his town. His page is full of Jesus.